Combine mascarpone and cream cheeses in a medium bowl and beat with an electric mixer on medium speed until soft and fluffy. Season to taste with salt and pepper. Set aside. Place sliced baguette on a baking sheet and drizzle with olive oil. Bake at 350 degrees for 15 minutes or until light golden brown. 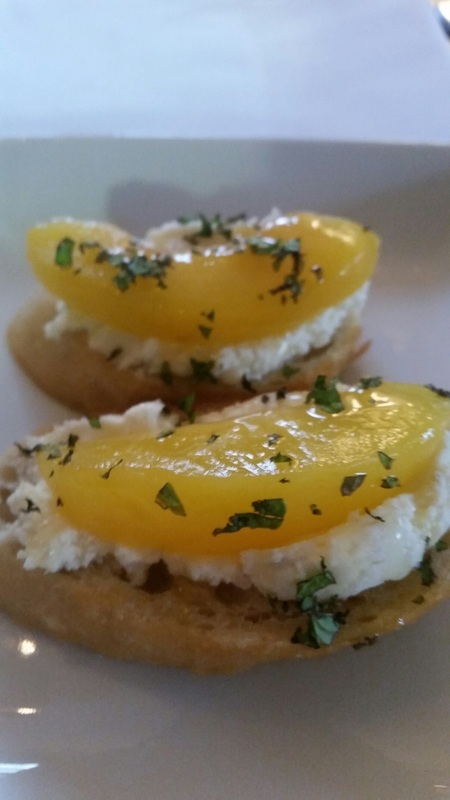 Spread cream cheese mixture atop sliced baguette and top with a slice of peach. Drizzle with honey and sprinkle with fresh mint.